Týr releases new music video for new song called ''Sunset Shore''! “In early January, immediately after spending our holidays in the Faroes, Gunnar and I traveled to Hungary to our band-mates, Tadeusz and Attila, in Budapest. Finally, it was time to shoot another video, our first since 2014, and we’re very happy to present this one to you! The Hungarian film production crew, Mihaszna Film, arranged the trips, starting from Budapest and going first to the Julian alps in Slovenia. In the fields and rivers of the snowy mountains we had some amazing scenery for ‘overworld’ part of the video. A few days later we traveled on to the caves of Szent-István in northern Hungary, and deep underground we found some dark and gloomy caves to be the perfect backdrop for the underworld part of this video. 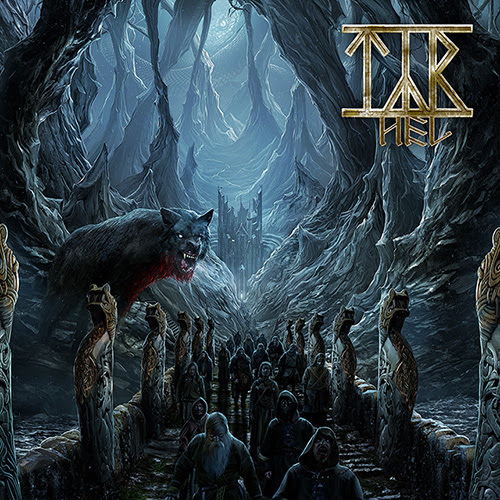 Týr have now announced a full European tour in support of their new upcoming release ”Hel”. Windswept premieres and streams entire new release ”The Onlooker”!